Be creative with your drinkware and design a durable Visstun®-9oz-Heavy Duty Paper Hot Cup-Full Color that attracts attention and increases brand exposure! 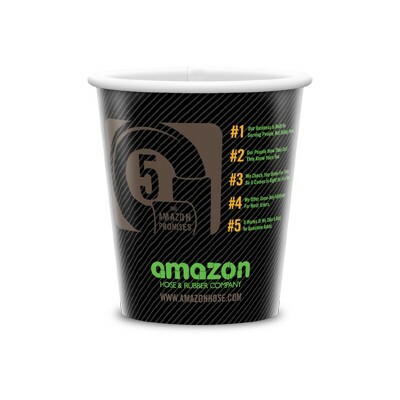 9 oz.-Heavy Duty Paper Hot Cups add ALL your marketing buzz to the "daily grind" creating lasting, high-quality impressions. that makes your first impression a great one. These paper HOT cups are printed in Hi-Definition full-color. Great for events, meetings, safety programs, and seminars – any place you want to influence coffee and hot beverage drinkers. Our Visstun®-9oz-Heavy Duty Paper Hot Cup-Full Color are quality promotional items for the office kitchen. Ditch the Styrofoam cups and provide durable cups made of paper, ideal for tea & coffee at company meetings, seminars, events, and fundraisers. Wrap the cup in full color with your business logo, photos, or other collage. These large canvas cups let you be creative with your design for a cup that clients, employees, party guests, and organization members will be delighted with at your next event!